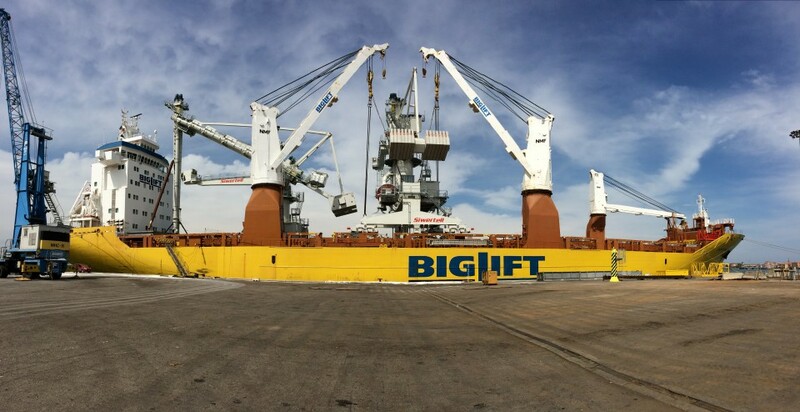 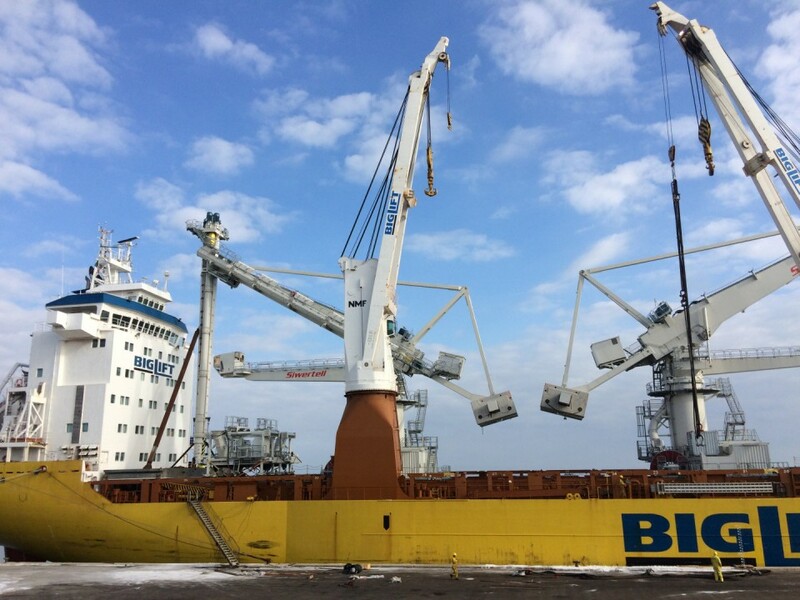 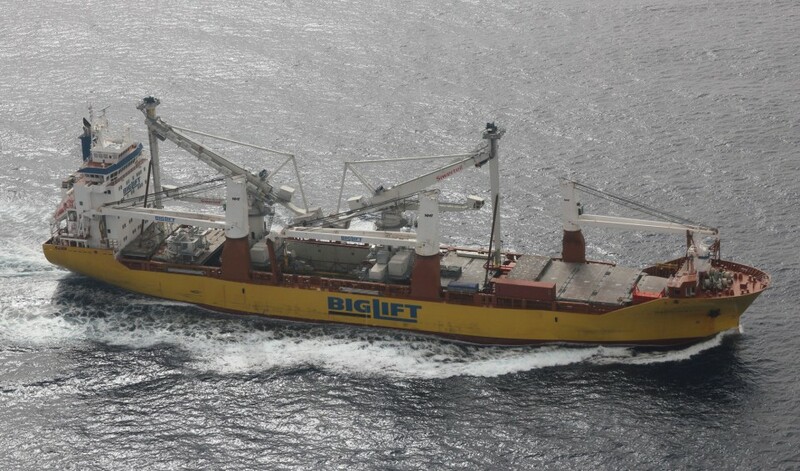 In May 2016, BigLift Shipping’s Happy Dynamic successfully transported two 560 mt Siwertell Continuous Ship Unloaders (CSUs) from Chioggia, Italy, to Liverpool, UK. 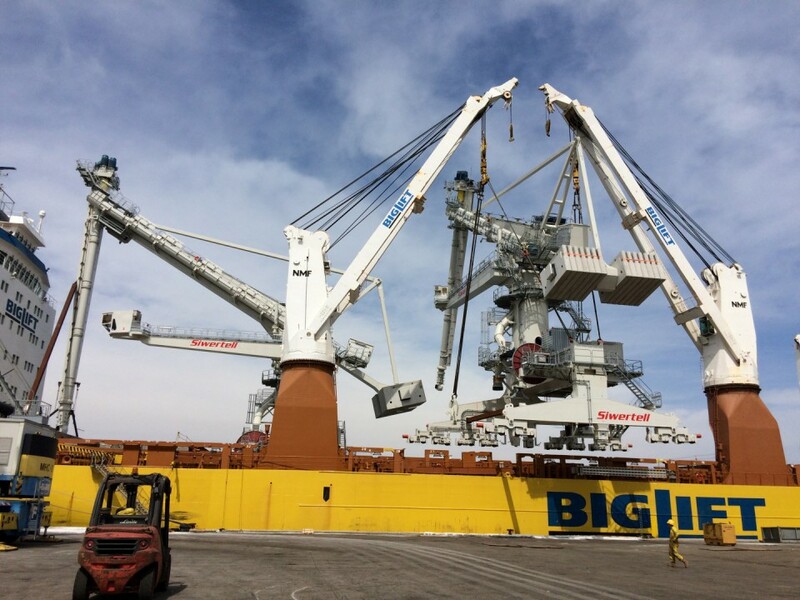 The CSUs are 35 m high and 24 m wide and, when in service, have a discharge capacity of 1,200 tons / hour. 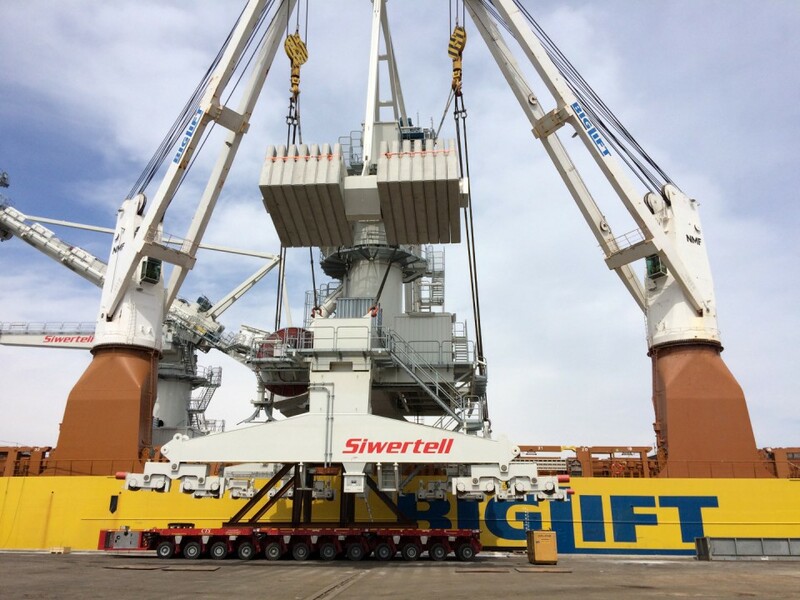 Both were loaded completely assembled – ready to be taken into service after discharge. 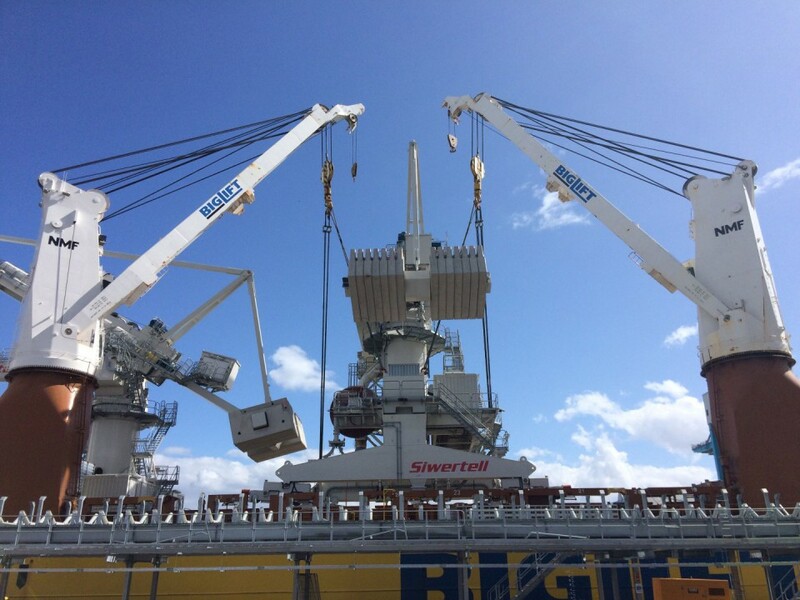 The CSUs were loaded in a tandem lift operation by Happy Dynamic’s two 400 mt cranes. 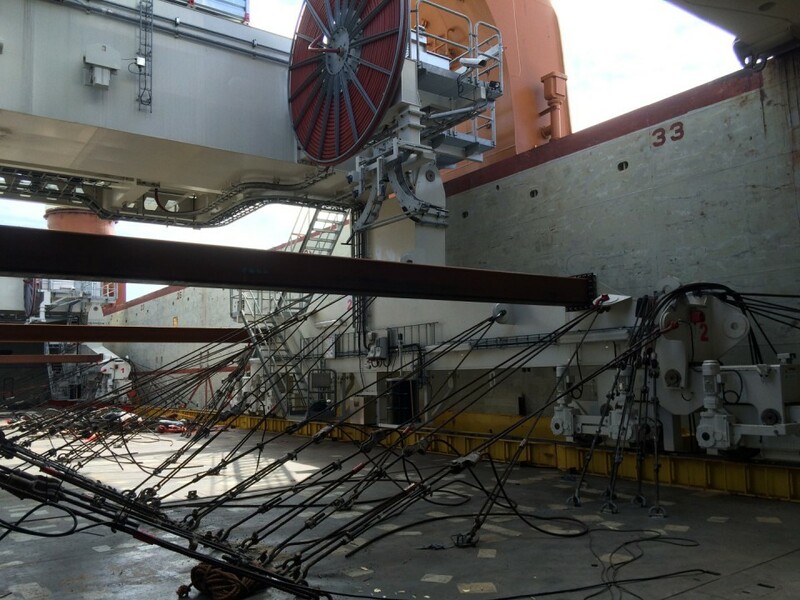 To reduce forces on the machines during the sea voyage, the CSUs were placed on Happy Dynamic’s tween deck and were lashed thoroughly using numerous wires as well as a pull bar system on the CSUs’ inlet. 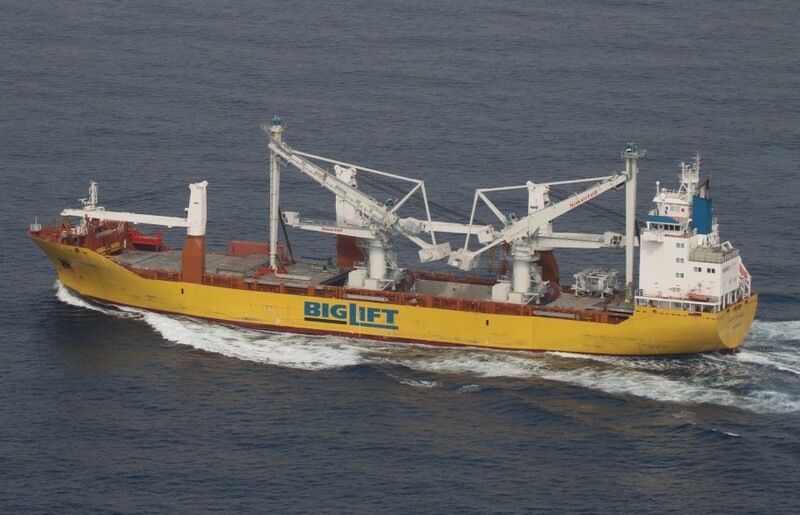 With the CSUs’ exceptional height the vessel sailed with open hatches. 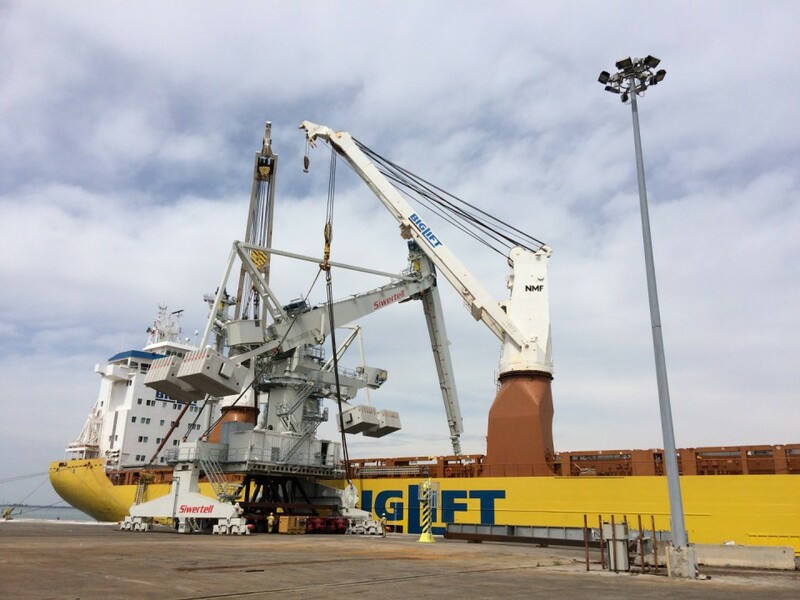 Upon discharge at the end destination, an electricity plant in Liverpool, the CSUs were lifted over the conveyor belt and installed directly into rails. 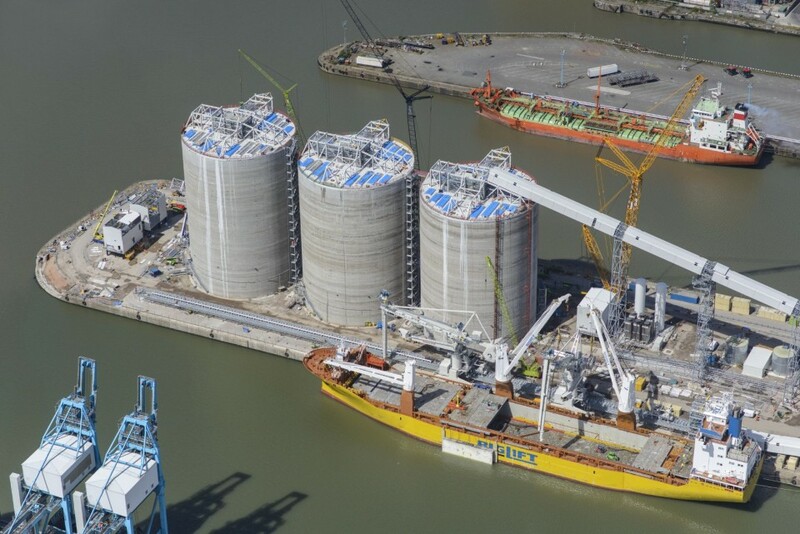 The CSUs are expected to be taken into service, discharging wood pellets, in a month’s time.